Find answers to some of the common questions asked by potential clients around videos costs, timeframes, specifications etc. Q: Who's behind Domin8 Media? 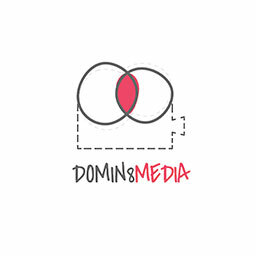 Domin8 Media is run by Hobart local Dominic Anastasio. Dominic has an interest in all things design, technology and sport. Q: What's different about Domin8 Media? Whilst we always aim to deliver the highest quality videography outcomes, we don't aim to create the next cinematic masterpiece with all the bells and whistles. Instead, we deliver professional, high quality and unique videos to people who might otherwise miss out due to budget. Q: How long does it take to create a video? Each video project is different. Through experience, we can roughly estimate the time required to both film, develop and iterate a video. As a general rule, 1 to 2 weeks is an appropriate turn around time here at Domin8 Media. You can also view each service page for a more accurate representation of timelines. Q: Your videography costs are much cheaper than others, why? As mentioned, we believe we deliver a high quality product and aim to cater for smaller businesses, organisations and causes (such as weddings) who'd otherwise miss out due to the cost often associated with videography. The costs on our website are just an estimate, and each job is further quoted based on anticipated times, individual specifications etc. Q: Do you offer a discount for not for profit organisations. We love working with not for profit and charity organisations, and will always aim to provide an affordable service. We invite you to get in touch if you've got a project. Don't hesitate to get in touch via the contact page or email Dominic.